* Total number of reviews and star-ratings are based on data collected during the time period Frog Heating and Air has been using the ReviewBuzz system and may not directly match the data found on each public review site. Andrew did a great job! He is our first choice for electrical work! 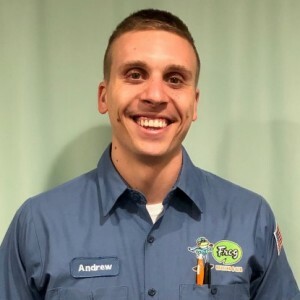 After contacting multiple companies in Nashville, including the big advertising ones for quotes on a new HVAC unit Frog was the best price, customer service and our install technician, Luke, Went above and beyond what we could have asked for. My husband and I will use Frog for all our Electrical and HVAC needs to come. Excellent!!!! If you’re tried of the run around with other local companies, you got to give them a call. Just finished a great experience with Frog Heating and Air. I worked with Jesse in Customer Care and she quickly took care of identifying the tasks I needed to have done and promptly scheduled the appointment and explained how their process worked. Anthony arrived on time and ready to work. He did a walkthrough to make sure he had an understanding of the tasks and then wrote those up in a detailed fashion for my review, including the costs for each task individually. I was able to make my decisions based on the information provided. All work was completed in a single morning and done to specifications. I have never worked with more professional folks and have to say they not only met but exceeded my expectations. Highly recommended!! The technician that arrived was very professional ! He resolved the problem quickly and discovered an additional problem and fixed it also. I will use again. Josh was on time, explained the extent of repairs, and performed the repairs in a timely and thorough manner. I was very well pleased. The unit needed intervention that could have approached 1/2 the price of a new unit. We discussed the prices of new units (if the malady should recur), and his recommendation of best brands. 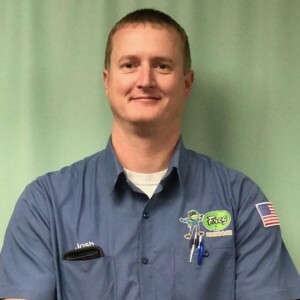 Frog hvac and Josh have not disappointed me thus far. Josh never showed up. I briefly went outside when I came in someone had called but left no message. I get a lot of solicitation type of phone calls so I didn’t call the number. I finally called Frog and was advised job completed , but the tech did include a note to them he called and left message to us, again no voice mail. My question is why didn’t he come by? Was because it was late? I was looking for a reliable company, I guess I will keep looking. I have requested a refund for the tune up package I paid for, I hope I get it. One employee told me it may take a while. Curt was super nice and very knowledgeable. He explained to me what the problem was and gave me two different options to fix it. He provided excellent customer service and I’m very pleased. Curt needs a raise. Technician arrived on time. Technician was respectful, and informative. I now have quotes, and other information to make a decision on what to do with my system. I will recommend Frog Heating & Air to anyone in Middle TN. It was a positive experience. Thanks, Curtis W.
As always, exceptional service. I have used Frog’s for two separate units over the years. I will not use anyone else. Arrived on time and did the work as desired. Very happy. I needed some work done in order to close on the sale of my home and they made an appointment for the next day. Andrew came out and explained everything thoroughly and made sure to give me options. He spent extra time calling around for parts to avoid going with a more expensive option and then apologized for taken so long a couple of times. complete professionalism from him and the office staff. If i ran a business those are the types of people i wish that i would have working for me. I wish i could have used them for the other work i was having done to the house. The Froggy staff is always friendly and professional. 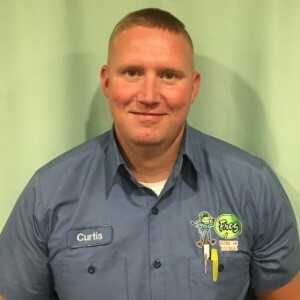 Curtis, my preferred technician, is timely, efficient, and professional. I always ask for him because I know I’ll get quality service! It may sound strange in this day and age but the guy is always so nice, personable, and his uniform is pressed and clean. He takes the time to check everything out and makes sure I know what is in working order and what may fail in the future. I’m always confident when he leaves that I got quality service. And, my dog likes him!! 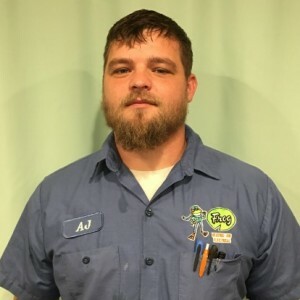 AJ was very polite, efficient and knowledgeable. He explained everything he would be doing and gave some recommendations he felt I needed to keep my unit running smoothly! Luke was great to work with! Very polite and took his time to check everything. Explained everything he was doing and made sure to actually show me the problems with the system. Thank you for all your time and patience, Luke! Customer service is always a top priority at Frog Heating and Air. Our BBB Membership A+ rating is like a badge of honor as we continuously strive to provide the best experience for our clients.